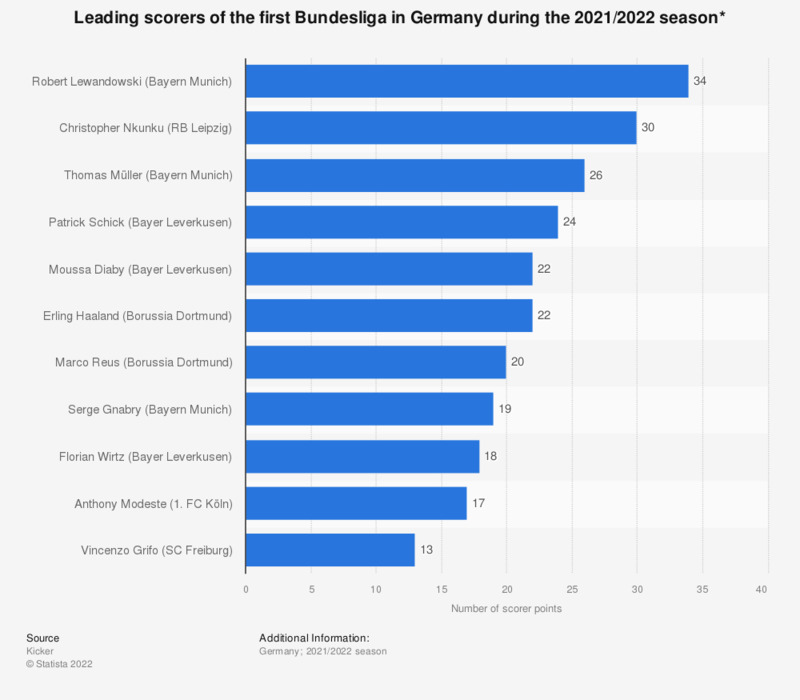 The statistic presents the leading players of first Bundesliga based on the scorer points in the 2018/2019 season. Marco Reus was the most successful player in that season, scoring 21 goals. Sebastien Haller was ranked second with 20 scorer points.